This is a mod designed with the Aurora Skies world in mind but doesn't require it. 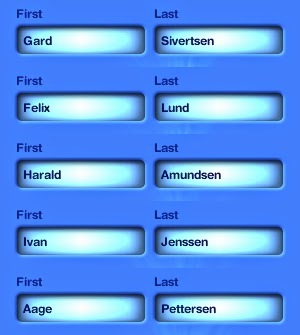 Aurora skies has a Scandinavian theme and many of the Sims the world starts with have Scandinavian style names, so I thought it would be good for new sims to have Scandinavian sounding names as well. 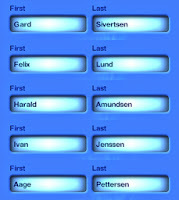 Most of the names are names from Norway but there are a few names thrown in from Sweden, Denmark, Iceland and Finland. There may also be a few from other countries as well but as I'm not from Scandinavia it's difficult for me to tell. 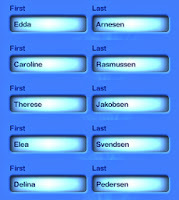 This won't change the names of any of the existing sims in your game but it will give new sims Scandinavian style names.